A CBS News article reported that the Oklahoma City Police Department is among the forces using the 16-question checklist, which is designed to help officers identify victims who are likely to be killed. By answering the below questions, the more times a victim answers “Yes” to the questions, the more likely domestic violence may lead to a victim’s death. The checklist will be used across the state of Oklahoma. Authorities in Maryland say fatalities have dropped 30 percent since they started using it. If you need immediate assistance after hours: Call 1-800-799-SAFE(7233). If you wish to be connected with someone in your area regarding domestic violence, volunteering or making a donation, call 1-800-898-3234. 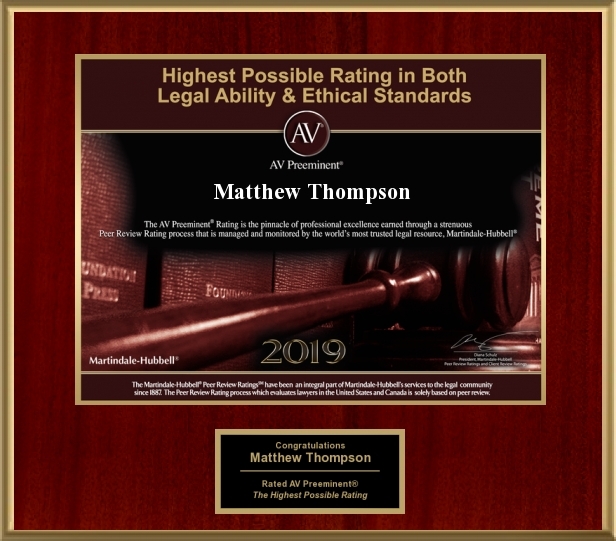 Matthew Thompson is a Family Law Attorney in Mississippi and encourages victims of domestic violence to have an emergency plan and seek immediate help. Those questions really made me think about the gravity of domestic violence and how scary it must be.